Masada is a place of reverence for Israelis because it carries ancient memories of independence and rebellion for the Jewish people. In 74 AD, a band of almost 1000 Jewish rebels escaped the city of Jerusalem, where the nation of Israel had re-established its capital after the Babylonian Exile. Roman occupiers had destroyed the city and its temple, the second temple of Solomon in 70 AD, during the Great Jewish Revolt of which began in 66 AD. The Jewish rebels had created their own society in the desert lands south of their former capital, near the desolate outpost of Qumran, where the Dead Sea Scrolls were found. The Essenes, an cult-like sect of Judaism, had removed themselves from all social contact by establishing their community in the caves around the Dead Sea. It was there that they waited for the Messiah to deliver them from Roman rule. 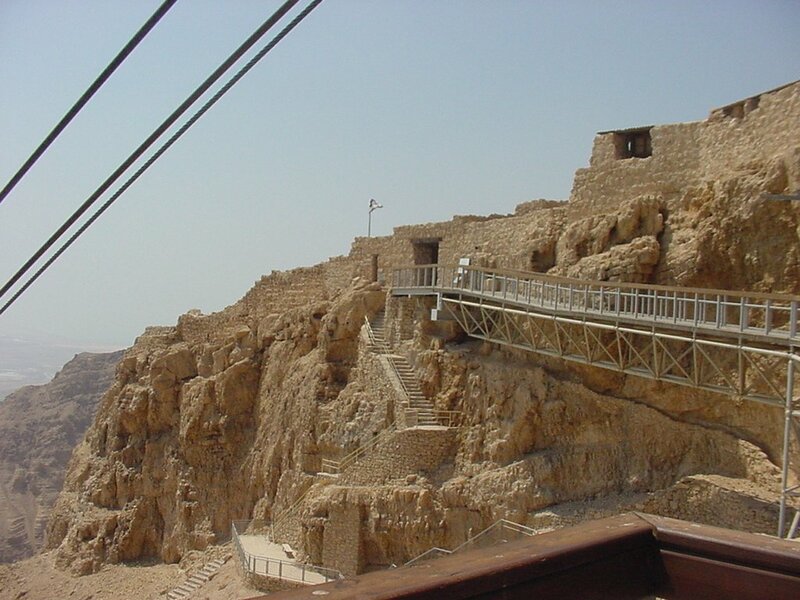 Masada had been established as a desert fortress by King Herod about fifty years earlier. The Jewish rebels faced overwhelming odds of survival against the superior Roman forces that hounded and eventually surrounded them. At Masada, they had some freedom, at least as much as they could forge in the desert wilderness. The King, Herod Antipas, established his throne at Masada as well, transferring wealth and riches from Jerusalem to his outpost in the desert atop the mountain. 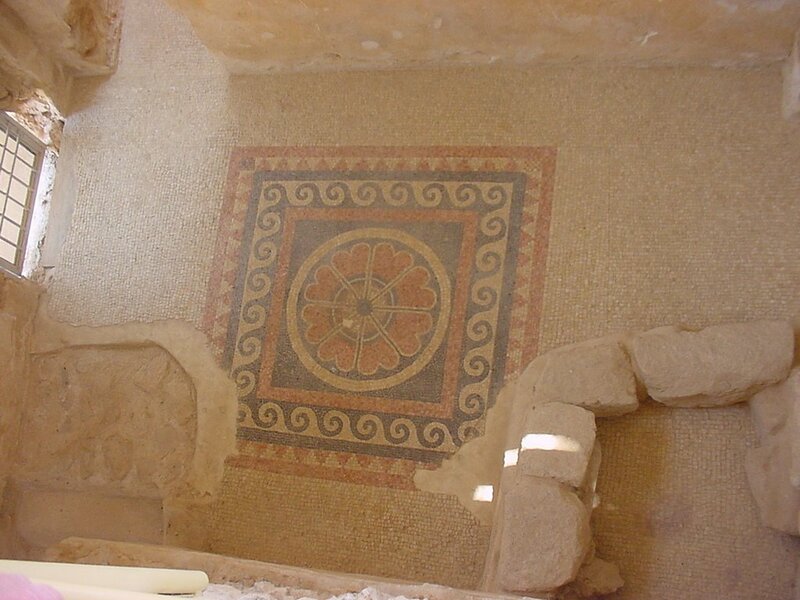 The Jewish community used the technology of the time to transport water to the mountaintop, where they created mosaic-lined Roman baths, a synagogue, and common dwellings in the extreme heat. The Roman legions eventually surrounded the rebels at Masada. They formed two encampments at the foot of the mountain. 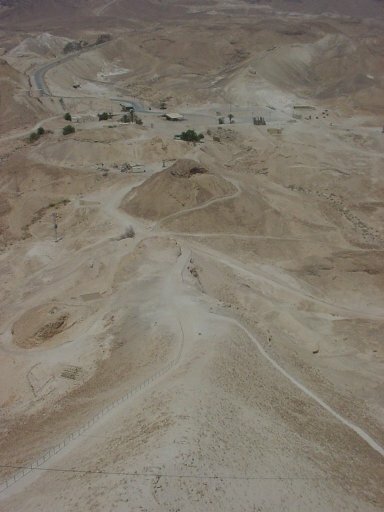 When the Roman decided to attack, they built a ramp from the desert below to the top, allowing them access to the living quarters, worship area, and resources of the Jewish rebels. When they arrived, they found all of the inhabitants dead. Rather than be captured and enslaved by the Romans, they committed mass suicide, each slaying the other until only one remained. The final survivor took his own life in a final act of defiance. The Romans had been defeated, albeit in the death of the Jewish community at Masada.